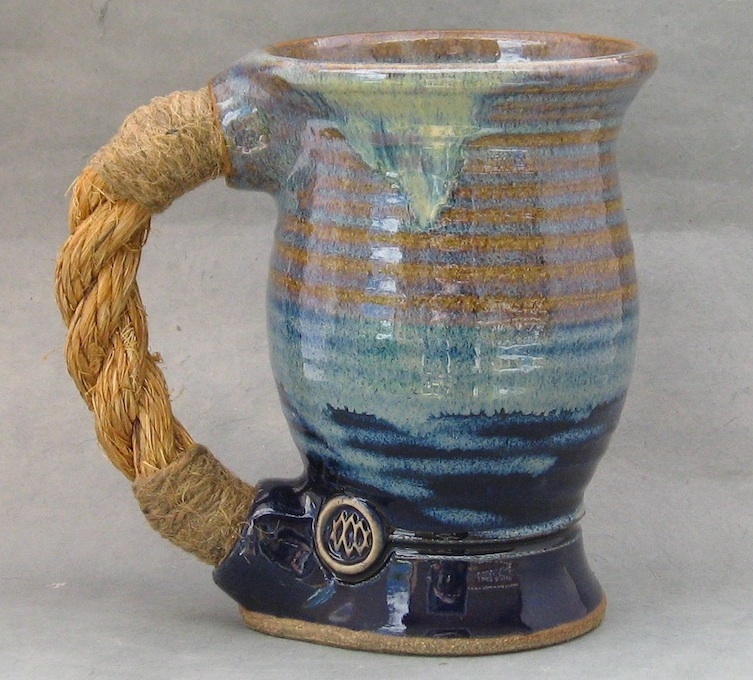 Rope mugs are available for wholesale orders, at one of the local shows we attend, or by visiting Palmyra Traders at one of their events, listed here. 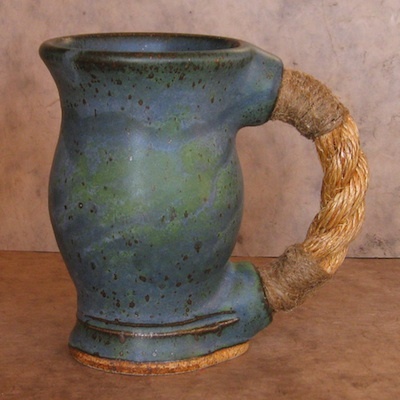 We also have a small selection of ready-to-go rope mugs available in our Etsy store. Click here to visit our store on Etsy. 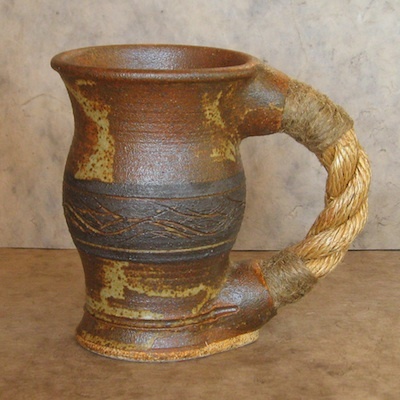 Our rope handle mugs have proven to be popular with medieval and renaissance reenactors and as special accoutrements at historically inspired weddings. 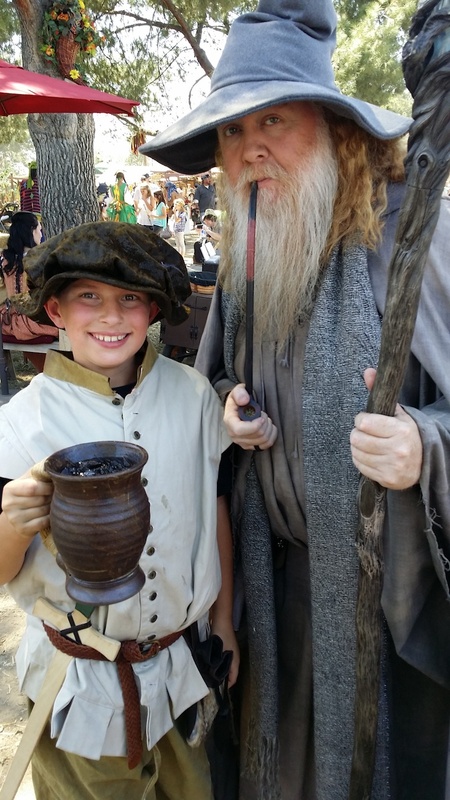 Derek's son Brodie, enjoying an extra large rope mug full of root beer, with Gandalf. 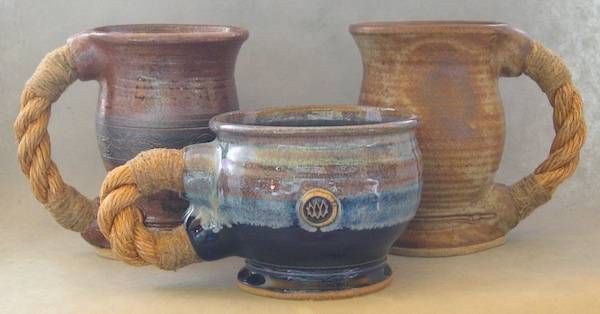 A few of our mug will travel to Minneapolis in March, to be shown at the Urban Forage during the NCECA clay conference. More info here about this year's conference, Claytopia. 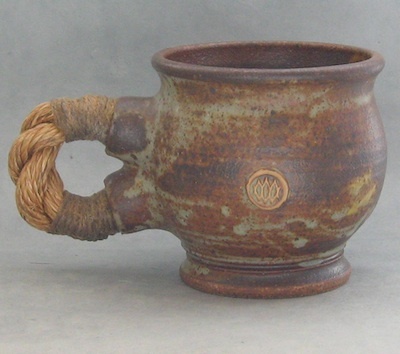 Rope handle mugs and pitchers are made of high-fired stoneware, making them very durable as well as unique. The manila rope handles are attached with epoxy and sealed with two different sealers, making them impervious to water and safe in the dishwasher. Our rope mugs are﻿ also available from Palmyra Traders, at one of the many medieval events that they attend around the country. Please click here to view the event schedule on their website.